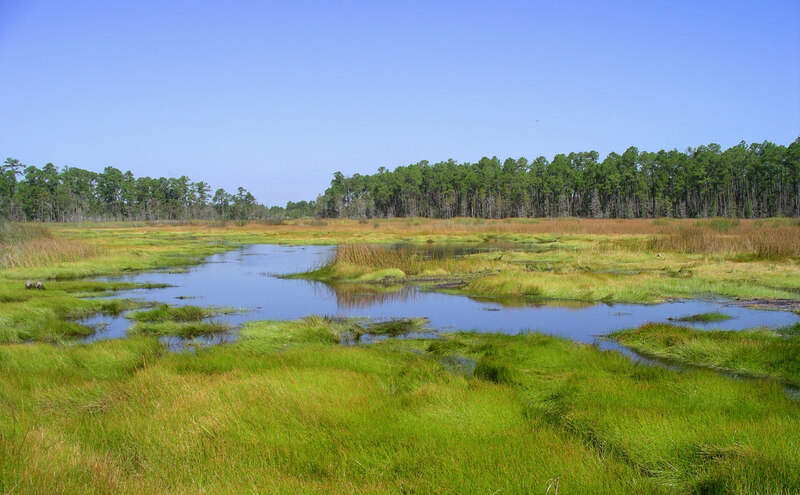 Grand Bay National Estuarine Research Reserve is one of the most biologically diverse ecosystems in the northern Gulf of Mexico. Habitats for sea turtles, bottlenose dolphin, and manatees can be found in the deeper waters of this reserve. Oyster reefs and seagrass beds serve as nursery areas for important marine species such as shrimp, blue crab, speckled trout, and red fish. Credit: Gretchen L. Grammer.